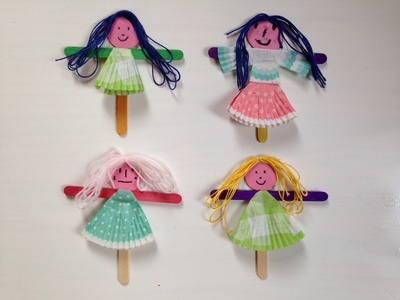 These pretty puppets are very cheap, easy and fun to make. Pick up some patterned cupcake liners to make the clothes. 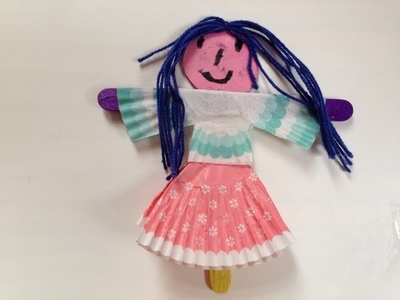 Little fashion designers can have fun creating their own outfits for the puppets. 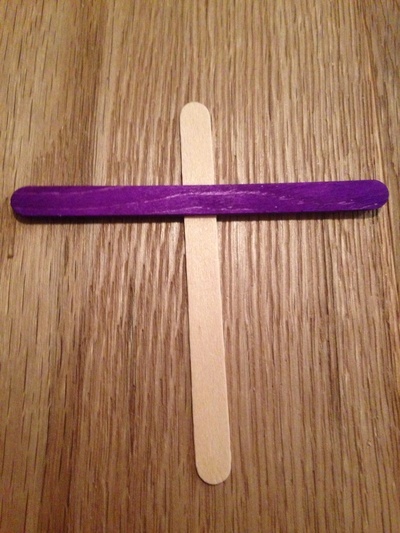 Glue two popsicle sticks into a cross shape to make the puppet frame. Cut out a circle from the card and draw a face on it. 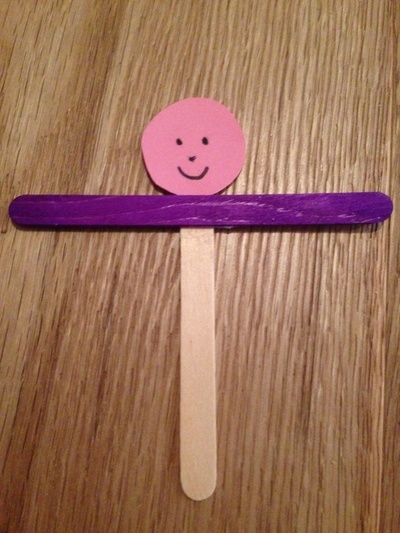 Glue the face onto the puppet frame above the arms. 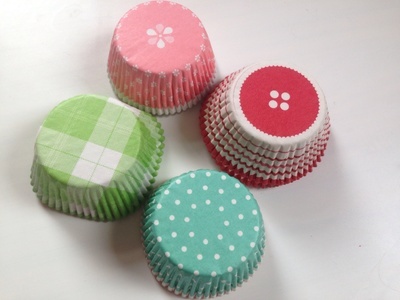 Fold a cupcake liner in half then fold the sides into the middle to make a wedge shape. 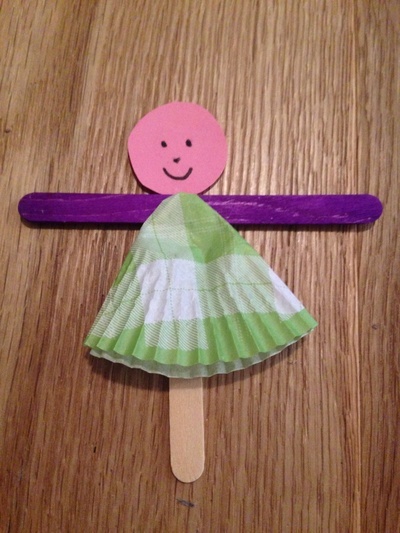 Glue this onto the puppet frame to make a dress. 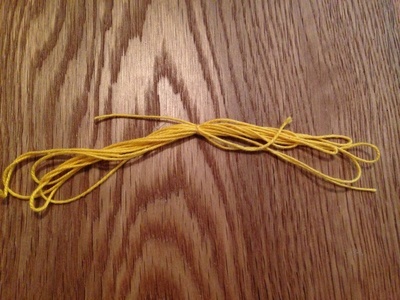 Tie strands of wool together in the middle to make a bunch of hair. Glue the hair around the puppet's face. Have fun trying different shapes for clothes or making different hair styles. We folded a cupcake liner in half then cut out two wedges from the edges to make a blouse. 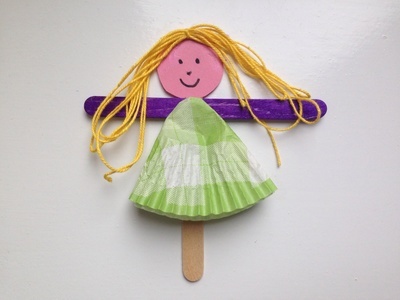 Make a few puppets and create your own puppet show. 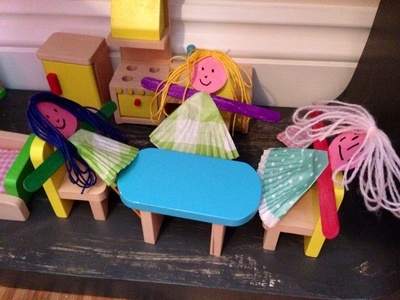 They also make great dolls to put in a homemade doll's house.